The match between the Indian and his Norwegian opponent will be played from November 6 to 26. "The agreement was signed today at Baku by Bharat Singh, Hony Secretary All India Chess Federation and FIDE President Kirsan Ilyumzhinov," a press released stated. Viswanathan Anand will defend his World Chess Championship title against world number one Magnus Carlsen in his home city as FIDE on Sunday chose Chennai as the venue for the prestigious match. "The agreement was signed today at Baku by Bharat Singh, Hony Secretary All India Chess Federation and FIDE President Kirsan Ilyumzhinov," a press released stated. 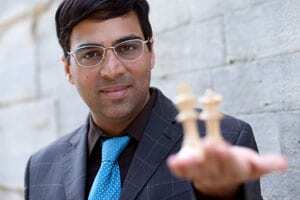 Anand had defeated Boris Gelfand of Israel to retain his title in 2012.